This scheme will see the existing stretch of the A28 Chart Road between the 'Tank' and 'Matalan' roundabouts widened into 2 lanes each way. This scheme is an improvement of the existing road. additional controlled crossings, for pedestrians and cyclists, at Loudon Way/Chart Road junction and Chart Road north of Matalan roundabout. The £26.2m project has been secured by Kent County Council, with £10.2m from the Local Growth Fund obtained from the South East Local Enterprise Partnership, and £16m match funding. The A28 is the main route serving the south and west side of Ashford. 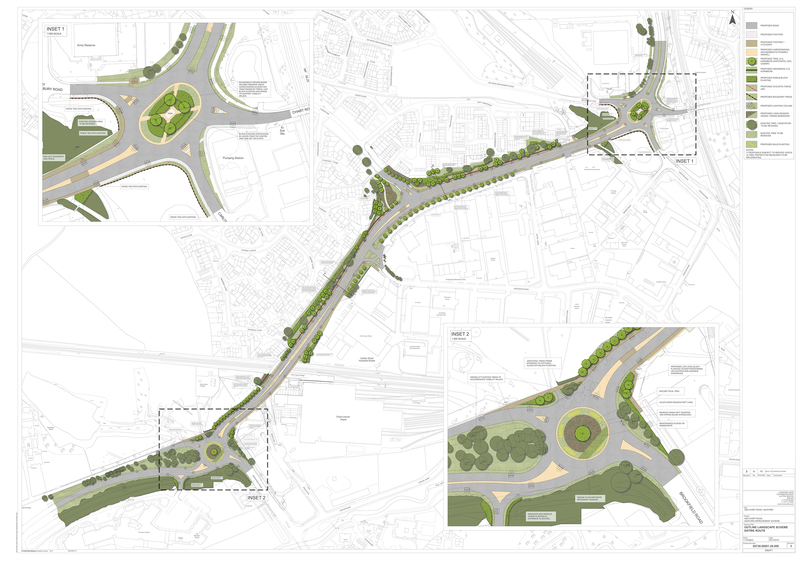 Improvements have already been made from the A28 'Tank' roundabout up to and including its connection with the M20 at Junction 9. Southwards from the 'Tank' roundabout over the railway to the 'Matalan' roundabout the A28 is a single carriageway that has poor alignment over the railway and has regular congestion and unreliable journey times. to support local growth and developments including Chilmington Green. The approval to progress the A28 Chart Road improvement scheme was taken by Kent County Council on 7 September 2016. The decision by the SELEP Accountability Board to grant Local Growth Funding for the A28 Chart Road Improvement scheme was made on the 12 September 2016. This scheme has been delayed until the developer is able to guarantee repayment of costs. House building will begin as expected. Read more about the delays in our news release. To give feedback about this scheme email chartroadmajorproject@kent.gov.uk. The government Growth Deal provides money to the South East Local Enterprise Partnership, funding projects which drive Kent’s economic and business growth.